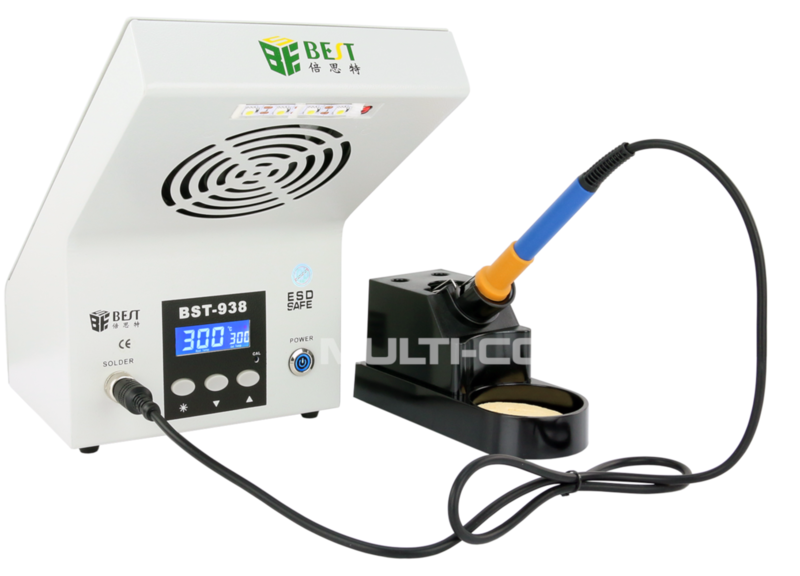 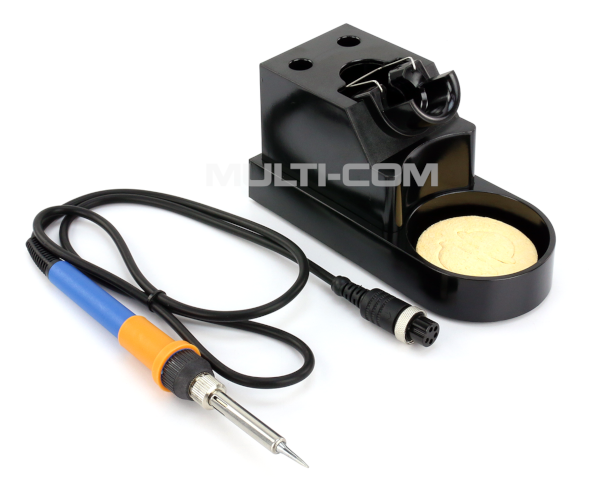 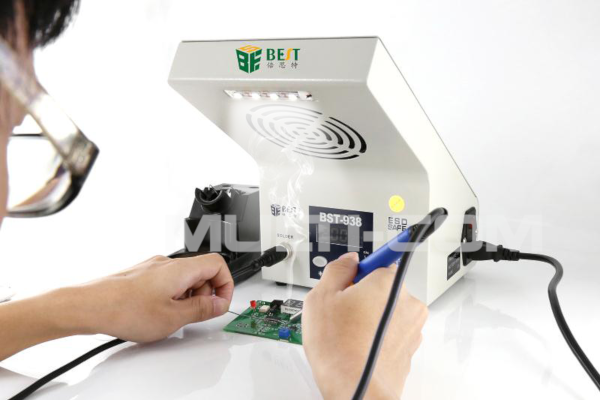 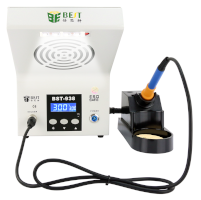 Soldering station BEST BST-938 90W with a fume absorber and LED lighting is a comprehensive device for soldering systems with a permanently installed fume absorber that are created during soldering and LED lighting. 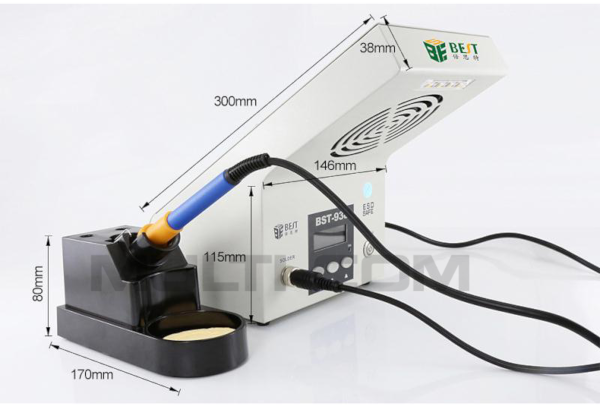 Thanks to it, we not only save space and space for work, but also care for health and safety at work, thanks to the use of a removable vapor absorber filter. The station is dedicated for lead and lead-free soldering, in the temperature range of 200 - 480 ° C, and with a wide selection of 900M tips. 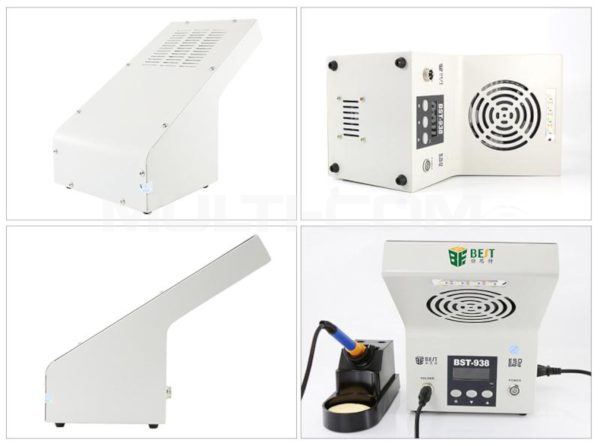 It works great in small service and commercial outlets as well as educational facilities where great importance is attached to the space and where there is a restriction in the use of self-draining vapors. 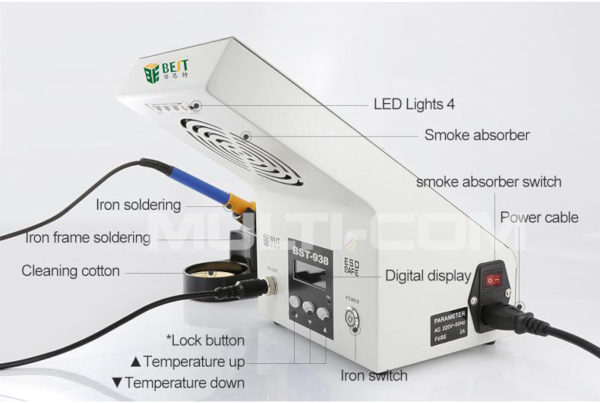 Readable electronic LCD display for checking settings.